Rookie Sam Darnold will be given the chance to start in Week 1. 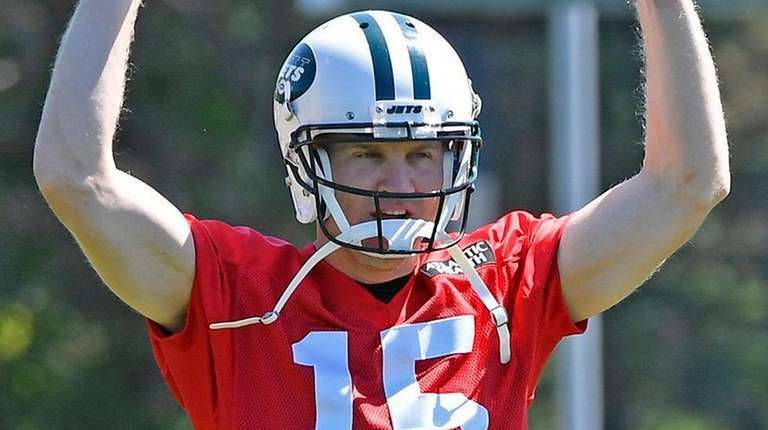 FLORHAM PARK, N.J. — As the Jets move into the vacation months, Todd Bowles made it clear: Josh McCown is the No. 1 quarterback going into training camp. During offseason practices, McCown got most of the first-team snaps, followed by No. 2 Teddy Bridgewater and rookie Sam Darnold, the No. 3 quarterback on the depth chart. “Josh will start from training camp and we’ll see what happens at the end of training camp,” Bowles said Thursday. McCown was the No. 1 quarterback last season as well, but the Jets gave Bryce Petty and Christian Hackenberg more practice and preseason snaps in an attempt to create competition. Bowles wanted to see if Petty or Hackenberg would supplant McCown as the starter. Neither did. Now, Petty is with the Dolphins and Hackenberg is not on an NFL team. McCown, 38, might be entering his final year in the NFL. Bridgewater is seeking a return to his Pro Bowl form with the Vikings before a knee injury cost him nearly two seasons. And then there’s Darnold. The Jets traded a trio of second-round picks to the Colts to draft him No. 3 overall. Darnold is the future for the Jets, but he might not start Week 1 in 2018. Bowles said he will talk with Bates about how to divide the practice reps when training camp starts, but it’s clear if Darnold is the best of the trio, he could start Week 1 at Detroit.